NOTICE: This website is under construction, as all sites should be. Last Update: Blog, July 1, 2016. 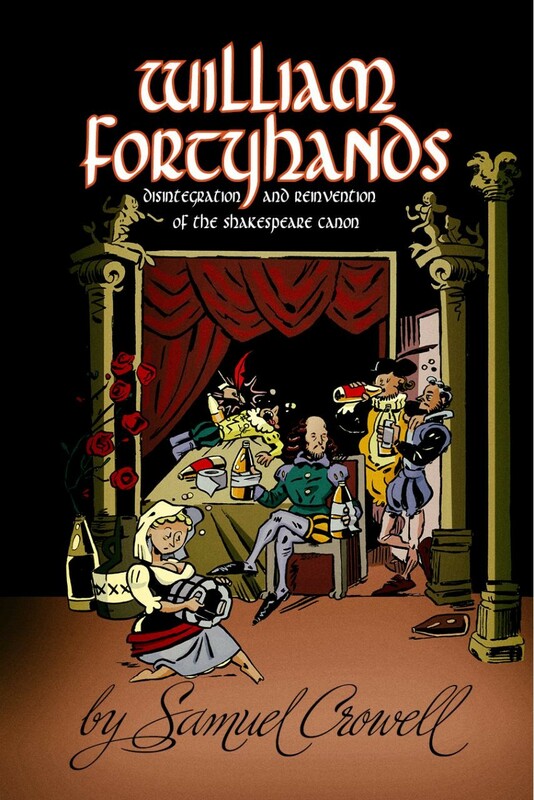 This website is dedicated to the writings of Samuel Crowell, author of William Fortyhands: Disintegration and Reinvention of the Shakespeare Canon (published by Nine-Banded Books in 2016) and The Gas Chamber of Sherlock Holmes: And Other Writings on the Holocaust, Revisionism, and Historical Understanding (published by Nine-Banded Books in 2011). It is our intention that the site will also serve as a repository for material and documentation supplementing Crowell’s published work, and as an archive for reviews, links to pertinent sources and other information. 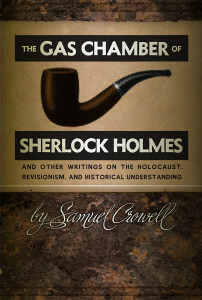 In 2014 the publisher of The Gas Chamber of Sherlock Holmes decided that the complete Nine-Banded Books edition should be made available as a free PDF in order that readers and researchers might enjoy authoritative access to what we believe is an important work of historical and cultural scholarship. While there are a number of online sources for earlier versions of the titular monograph, the downloadable edition on offer here includes substantial revisions as well as supplemental texts that have until now only been available in print. Please note that the print edition is still available for purchase through Nine-Banded Books or Amazon. Please consider buying a copy for your library. Samuel Crowell is the pseudonym of a self-described “loose cannon” and “moderate revisionist” who has written extensively on many subjects. He is a graduate of the University of California (Berkeley), where he studied philosophy, foreign languages, and modern European history. Mr. Crowell continued his studies in history at Columbia University, and taught on the college level for six years.